Peggy Malague MacKay joins the School of Nursing for the fall term 2014. Peggy received her Bachelor’s Degree in Nursing from Fairfield University and her Master of Nursing in Child Health from Emory University. Her clinical interest is in the care of children and families in acute care settings. She has practiced in the Clinical Nurse Specialist Role in General Pediatrics and has taught undergraduate students at Emory. Most recently Peggy has enjoyed a bedside role at Levine Children’s Hospital. 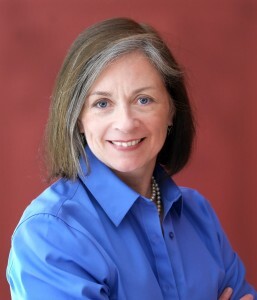 Peggy’s research, “Quiet Room: A Study to Examine the Effect of a Minimal Stimulation Environment on Infants and Young Children in the Immediate Postoperative Period,” received a grant from the American Nurses’ Foundation in 2013 and is in data collection at Levine Children’s Hospital. She currently serves as chair of the Clinical Practice Committee for the Society of Pediatric Nursing.